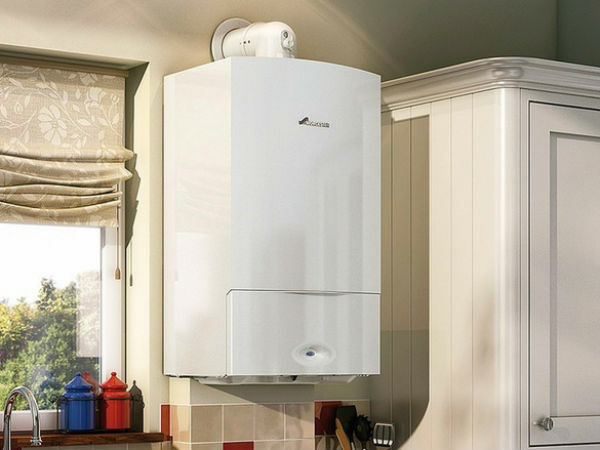 Replace your gas boiler and receive a Full 10 Year Boiler Warranty. Gas Central Heating repairs, alterations, new installations and maintenance. Fire Hydrants, dry risers and wet and dry sprinkler systems. "One of the finest plumbing companies i have ever dealt with"
With competitive prices and our fixed price guarantee, you can be sure that Gasworks will offer you a top-quality service at a price which suits you. At Gasworks, we focus on your needs, that’s what makes us unique! That’s why we provide our services day and night, 24/7, whenever you need us and whatever you need from leaks and blockages. Our emergency plumbers are always ready, waiting for your call! At Gasworks, there’s nothing we can’t do, so, if you’re looking for a repair, full plumbing or heating services, a gas boiler replacement or a brand- new installation – we are ready to help! Not to mention, our prices are fixed, affordable and tailored to you. With all of these services, our 5-star reviews and more, its no wonder why we’re Ireland’s leading plumbing company! Contact Gasworks today for flexible, reliable and skilled plumbers in the greater Dublin area. Our plumbers always work to the highest of standard on all of the work we do, this includes our repairs. At Gasworks, repairs are nothing we’re not used to and, therefore, we are experts! So, if you need a repair, contact Gasworks. A member of our friendly staff will be on the case in no time, providing a top-quality service you won’t find anywhere else. The price of the repair will always be affordable and a price that suits you. This is ensured by a fixed price guarantee, which is exactly what it says on the tin! Remember, our emergency plumbers are always ready for your call, 24 Hours no matter the problem! To avail of our exceptional services, contact us today. At Gasworks, we only carry the best fittings, fixtures and equipment. This includes the best equipment for unblocking toilets, sinks, showers, drains and anything else you can think of! Our experienced team can fix any blockage, big or small – no matter the weather! So, if you’re having trouble with a blockage, contact Gasworks. Our plumbing services team will have the problem fixed in no time, at an affordable price! With Gasworks, the job will be done with nothing but the highest standard. All of our team members are highly qualified, with years of expierence, meaning that you can sit back, relax and know that you are in good hands at Gasworks. Here at Gasworks, cowboy builders are our worst enemy. That’s why always ensure that our work is to it’s highest possible standard, that it is what our customers have asked for and that it is a fixed, affordable and agreed price. All of our team are qualified, reliable and skilled, so you can be sure that you will always receive a quality service. Through our hard work and reliability, we have earned our 5-star reviews which you can trust. At Gasworks, we’ve been in the game a long time. This is all down to our customers, who we appreciate and always put first. If there’s a problem, no matter how big or small, we are always the first on the case. Our team of emergency plumbers are there for our customers, every minute of every day, whenever you need us. For all your Dublin Plumbing related issues. We always have our customers in mind, especially when it comes to our pricing. That’s why we offer a fixed price guarantee. This service means that we will settle on a price that suits you, and that is unchangeable – no matter what! You can also contact us whenever you want, any questions or queries – we’ll be there to provide the answers, so, for a service which puts you first – contact Gasworks! At Gasworks, we know that you don’t want a plumber that mucks about. That’s why we don’t beat around the bush, providing a plumbing service which is quick and to the point. With our experience and fully qualified tradesmen, most jobs are a simple quick-fix, and then we’ll be out of your hair. So, for a service which is quick, simple and at a time which suits you - contact Gasworks for all your Dublin plumbing issues. Unlike our competitors, we focus on our response times. As soon as we get your call, we’re working to fix your problem. We will not have you hanging around for hours, days or weeks. We will be there in no time, ensuring a quick, stress-free fix. Plumbing problems have a devastating impact in the best of times, so we know the effects of a plumbing problem in a business. We understand that someone’s business is the most important thing to them, that’s why we take extra care in ensuring quality repairs, speedy response times, and fair prices. From a deli sink to a row of urinals, you can trust that our experienced Dublin based plumbers will give you what you need, to the best standard. Central Heating ? We do that too! Central heating is really very simple. A (usually gas) boiler, uses water to electrically pump heat around the house to an outlet such as a radiator. Then you get nice and warm! At Gasworks, we are experts in central heating, meaning we can repair, install and replace without a bother. Once again, we will provide a service of top quality, at a time that suits you at an unbeatable price. 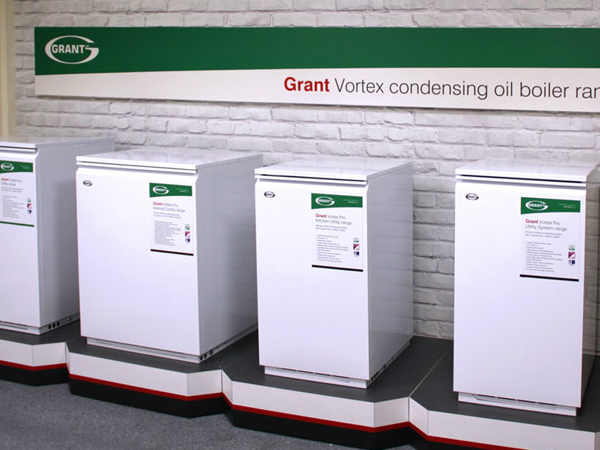 With so many services available, contact Gasworks for all your central heating needs. We understand that central heating is what keeps your home running and any mishaps that may occur will lead to a disaster! This is why we are always on hand to help you when your central heating goes rogue. Whether you know what is wrong with your system or you have no clue at all, Gasworks will be there in a matter of minutes to get the problem fixed. Because we put our customers first, we focus on a speedy response time, a fast fix and an affordable price. Remember, our emergency plumbers are available 24 Hours in both North and SouthDublin, so feel free to drop a call. Our team carries a number of parts, making a first-time fix highly likely. 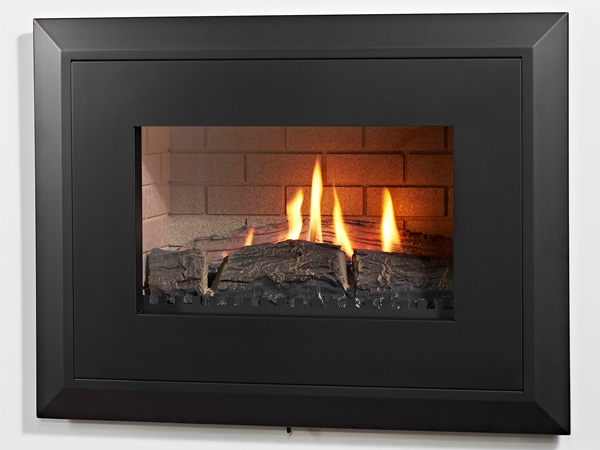 With Gasworks, having a safe, smooth and efficient boiler is easy-peasy. Regular servicing is required to maintain a system which experiences so much wear and tear. Checks are required so that you are aware if you need repairs or even a replacement. If your boiler is left alone, without checks, you will be unaware of the servicing it needs and therefore you will increase its likeability to breakdown. This is not what you want! Luckily for you, Gasworks are the best at boiler servicing! So, if you’re ready to reduce your boiler’s risk of a break down and prevent some pesky repairs – contact Gasworks! Roasting Radiators to keep you nice and toasty! Radiators are a life saver during those freezing winter months, so, of course it’s important to have efficient, smooth-running, safe ones! Of course, there is nothing that Gasworks can’t do and once again, we are the experts in the installation and repair of radiators. The number 1 cause of poor preforming inefficient radiators is sludge depoists. Sludge is caused by poor water quality within the heating system, and represents corrosion. Fortunatley a chemical power flush is a fantastic way of regaining your heating systems efficiency. If you’re are having trouble with your radiators or simply want to install new, more efficient ones – give Gasworks a call! Our team is skilled, experienced and hard-working, ensuring a top-quality install or repair that you won’t find anywhere else. Because we always put you first, a price will be arranged with you - to suit you! A usually simple task means a whole lot more with Gasworks, ensuring that our customers are always happy and satisfied with our plumbing services. Do you have a painfully slow drain? We know that a slow drain can be a pain in the neck, that’s why we can help! At Gasworks, we’re experienced and skilled, meaning there’s nothing we can’t do, and this includes offering you expert advice and teaching you to solve a problem yourself – saving you some money on a call out! Often in showers, the hair is located at the top of the drain, which means all you have to do is simply take off the drain cover (grate) and pull it out. Sorted! In a more complicated scenario of grease or clogged hair further down the drain, something may have to be poured down. First, pour a cup of baking soda down the drain, then do the same with a cup of vinegar. A chemical reaction will occur, dissolving the dirt and leaving you with a squeaky clean, fast-moving drain! Did you know that you can unblock your drain with cooking ingredients? Yep, that’s right- with water and baking soda, your drain could look brand-new! Pour the boiler water down the drain, this will help dissolve unwanted substances. Directly after, add baking soda – (up to a half cup). Leave for a few minute and watch the magic happen. If all else fails, contact Gasworks. For more advice and top-quality services from experienced, trusted plumbers – contact Gasworks! At Gasworks, there’s nothing we haven’t done before. We can repair and replace toilets, ball valves, flushes and more. Our team have a wide range of knowledge and skills, allowing us to provide a high-quality service in a quick timeframe. Our emergency team are always available, so feel free to drop us a call. If your toilet is acting up, feel free to give Gasworks a call were open 24 hours! – there’s nothing we can’t do! When it comes to toilets, there is plenty of room for complications from blockages and drainage problems to odours. Not to worry, with Gasworks, everything is fixable and with our experience we can fix it well! With all this in mind, our main focus is our customers, meaning we provide a top-quality install or repair, at a time that suits you and at a price that suits you! Our expert team is always ready for your call, so, if you’re in need in a repair or installation – contact Gasworks! Does your drain require a complete cleanse? Are you constantly suffering from a slow drain? Are you beginning to become impatient? Not to worry, Gasworks are able to fix anything! First off, we can easily fix a slow drain, and even teach you to treat it yourself. If you’re constantly experiencing problems, Gasworks can offer modifications and help you obtain a fast-flowing drain, for life! Regular checks will also help you maintaining a perfect-working drain, preventing any blockages that may occur and ensuring drain all year round! We can also help you with overflowing drain, leaks and whatever else your pesky drain can get up to! We have the ability to fix both indoor and outdoor drains, so whatever the problem is – we can fix it! If you require a highly-skilled plumber or are just looking for some expert advice, contact Gasworks. If you don’t want to solve a blocked drain through harsh chemicals, or perhaps the baking soda method isn’t working – there is another method that you can try. A high-pressure water jet will fix blockage, in a matter of minutes. Now you may be thinking about the cost that this will bring. Well, Gasworks always put their customers first, so, you can get your drain unblocked in no time, at a time that suits you and at a price that suits you. If you’re looking for a simple solution to unblock your drain, simply give Gasworks a call, we’ll be there in no time with the best equipment available and the best plumbers around! Drains… drains everywhere! We can fix any drain, whether it be a small drain at home or a large drain in the workplace. Our team of qualified, skilled and trust-worthy plumbers are ready to control any drain. With so many different methods, we can fix any problem at a price and time that suits you! Spot a blocked pipe - before its too late! Blocked pipes are almost unavoidable, being caused by hair, dirt and grease, it’s important to try sport a blocked pipe - before it’s too late! Gurgling water. This is an early sign of a blockage somewhere in the pipe. Try using domestic drain cleaner to solve this. Bad smells coming from the drain is another sign. Unfortunately, this can indicate a small animal has died in the pipe, but this is highly unlikely! The sink is blocked and no water will pass through the drain. This is an obvious sign that your pipes are fully blocked. You can try to solve this with domestic drain cleaner, but, if you’re having no luck it is best to contact the professionals. If you’re spotting any of these signs or have even tried to solve the problem yourself, with no luck, then it is best to contact Gasworks. We are a team of dedicated, trained and skilled plumbers who will put your needs first, so, contact us today to get that drain working again! Drain Jetting - What is it? There are a few methods for clearing a blocked drain, some more effective than others. Depending on the location and severity, drain jetting is always an option. It involves a log and flexible hose being out down the drain. The pressure jet at the end of the hose is used to jet water at a high pressure, pushing the blockage away and causing it to dissolve. This method is simple and quick and with Gasworks, will be affordable and service with lasting effects. At Gasworks, we put our customers first, so, we will do it at a time that suits you and also offer you advice for future blockages! If you require advice now or wish to have your drain jetted, contact Gasworks! Looking for commercial plumbers? You Found us! At Gasworks, no job is too big. We are highly experienced and trained, meaning that you can trust that you will receive a high-quality service. If you’re experiencing plumbing problems, no matter how complex, Gasworks can fix it! Our team is professional, reliable and trust-worthy, so, if you require an expert fully qualified plumber - contact Gasworks for a service which is fast and affordable! If you’re looking for advice, an installation or an urgent fix, contact Gasworks, we’re available for you 24 hours, whatever you need, whenever you need it! Plumbing Emergencies.....Our Dublin Based Emergency Plumbers are always ready! We understand that life can basically throw whatever it wants at you, from a leaking toilet to a bad hair day. Okay, so we may not be able to help with the bad hair, but, we can help with that toilet! But it’s 4 a.m? No problem! Our emergency plumbers are available 24 hours a day 7 days a week, even on Christmas day! So, get our number in your phone – you never know when you might need us! We can assure you that we can fix any problem, carrying parts and pieces with us 24/7, a first-time fix is highly likely, so, sit back and relax because Gasworks has got you covered! We understand that there is never a perfect time for your sink to explode, that is why our qualified team of emergency plumbers are available 24/7. We always carry a bunch of parts and are extremely experienced, which means a first-time repair is highly likely. With so much experience, there’s nothing we can’t do and our love for our customer’s means that we’ll be there to fix your problem as fast as we can – even on Christmas day! Anything can happen – be ready! We understand that life can be stressful, so, why not make life easier on yourself? Just by simply saving our number in your phone, you will be covered during any problem, especially emergencies. Our Dublin plumbers are available 24 Hours, whenever you need them. We are always ready for calls, in case you need advice. Our team is skilled and hard-working, not to mention experienced. We work for our customers, ensuring that they are always happy with both the service and the price. With so many services and skills, you won’t find anything like Gasworks anywhere else. You never know what life will throw at you, so, just to be safe, save the Gasworks number – we’ve got you covered. Need help with a burst pipe? If you’re having a bad day and that burst pipe isn’t cheering you up, Gasworks can help! Our dedicated team are always ready to control your pesky pipe. With the skills, years of experience and expert knowledge of our team, you won’t find a higher quality plumbing service anywhere else. Not to mention our response time and our affordable prices! You really can’t beat the Gasworks team for all your plumbing service needs. To prevent pipe problems, it is best to get them checked before anything actually happens. This may sound silly and unnecessary, but if you can get your pipes checked, a professional plumber (such as a member of the Gasworks team) can spot a problem before it occurs! Therefore, saving you the money you would spend on a larger-scale developed problem or even an emergency plumber! So, call the Gasworks team to have a check on your pipes. There may be nothing wrong, but it is a quick and simple process and you are always better safe than sorry! Gasworks - Why choose us? Want something new? We are great with installations! Fancy a change of scenery? At Gasworks, we’re great at installations, whether it be refurbishing your bathroom or installing a new set of taps – we can do it! As well as a top-quality install that will wow your guests, we will also provide our expert advice and a price that is right for you! We can assure you that you will not find our incredible services anywhere else, especially our amazing product guarantees which are backed by the manufacturer! Call us today to speak to one of our friendly plumbing advisers. If you’re a new home owner, you may start to miss your landlord when a plumbing problem arises! Now that you have to take matters into your own hands, it’s important to find a reliable and trust-worthy plumber – luckily for you, Gasworks are ready to help! With local, skilled and fully qualified experienced plumbers, there’s nothing we can’t do! Through our hard work we have earned our 5-star reputation, which can be seen through our many positive reviews! If you require a plumber, whenever, wherever, give Gasworks a call for fully qualified experienced plumbers who put their customers first! Prices you won’t find anywhere else! At Gasworks, we put our customers first, especially when it comes to our prices. That’s why we will always cater to your needs with a price that suits you! We can ensure you that your price will never change and will be truly affordable through our fixed price guarantee service. We even offer free home surveys to ensure that you are getting a price that is accurate to the work that is needed. With our competitive prices, you can always count on Gasworks to offer a price that you won’t find anywhere else. At Gasworks, we are pretty great at everything, including the installations of baths. With Gasworks, we can ensure a top-quality, professional service with a stylish bath that will transform your bathroom. If you would like a complete bathroom refubishment service, you guessed we do that too. With our amazing team, you will see incredible results at an even better price. Our fixed price guarantee will ensure a price that is perfect for you and your family, whilst guaranteeing a bathtub installation that you won’t find anywhere else. At Gasworks, we are committed to putting you first, we will cater to all your needs and desires with our every might. With Gasworks, finding your dream bath tub is easier than you thought! A safe, smooth and efficient operating system all year round. Spotting problems early and fixing them on the spot, preventing the problem from becoming worse. Preventing breakdowns and the need for emergency call outs. Eliminating the cost of breakdowns and emergency plumbers. A stress-free environment in your home. At Gasworks, we encourage regular check-ups for the advantage of our customers. With Gasworks, you will receive a plumbing service that you won’t find anywhere else, from the amazing quality of our services to the outstanding price of our services. So, for all the benefits from giving your home a simple check-up, contact Gasworks. If you’ve been looking around for a plumber but their schedule is “all filled up”, you’re in luck! At Gasworks, we put you first, making sure that we get to you on time, when you need us and at a time that suits you. We work around you, to your specific requirements with a price that is settled, agreed and perfect for you. We ensure that you’re are never waiting around, with expert advice that is only a phone call away. Once you’ve asked for our help, we’ll be there to fix the problem right away, saving you your quality free time! At Gasworks, our top priority is caring for our customers needs, so, if you’re ready to be put first- contact us! If you have any questions, or are simply looking for expert advice, feel free to contact us! Refurbish your home, step by step. Have you been dreaming of a home spa? Have you been saving years for a luxurious sauna or a new bath tub? Well, Gasworks can help. Of course, all of our work is at a price that is suited to you, we offer the best prices around and our products are always supported by a guarantee. But, this doesn’t mean you have to refurbish your bathroom in one go. For a simple, cheaper solution why not refurbish your bathroom piece by piece? For example, buying a new set of taps, then tiles and then a new bath. This creates a cheaper solution, and even a quicker one as you are not waiting years for savings! If you’re looking to refurbish fully or just piece by piece, our team are the experts! If you’re in need of a trusted plumber to ensure a top-quality plumbing service or just looking for some expert advice, contact us! Showers are an important part of our lives and since they are used every day, it is important to have one with is efficient! As showers are quickly replacing baths, we offer top-quality showers and installation, at a great price and with a warranty! You won’t find anything like us anywhere else, so, if you’re looking for a new, efficient and stylish shower or even just looking for some expert advice, give Gasworks a call! We work to your needs, so let us know what your desire is and we’ll do our very best to satisfy!